Last weekend I came across a terrific new scheme to entertain bored commuters and tourists as they travel beneath the streets of London on the city’s famous Underground system, commonly known as the Tube. It’s called Books on the Underground and does what you might expect from its name: it distributes books on the London Underground system for people to pick up and read for free. They may either dip into a book on their journey and leave it where they found it, or take the book home to read in full. The only proviso is that they release the book back onto the Tube afterwards. A branded sticker on the cover makes it clear that each book belongs to the scheme and acts as a reminder to return it. Anyone can donate a book, including its author. 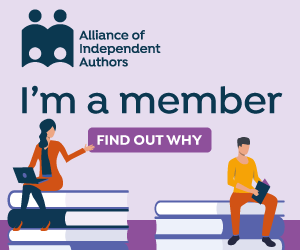 Many authors I know, through my book promotions consultancy Off The Shelf and the Alliance of Independent Authors (ALLi), whose blog of self-publishing advice I edit, are climbing aboard the scheme. It’s a fun way for an author to gain visibility – literally – for their work. I’m sending a copy of my own book underground this weekend. As Sell Your Books! has a narrow target market (it’s a self-help book of promotion advice for authors), I wasn’t sure the scheme would want it, but their lovely administrator Hollie assures me that they would. After all, authors travel by Underground too. As a former London commuter, I’m well acquainted with the Underground network. I can easily picture the books travelling through the different stations on familiar lines. So it struck me as especially magical if a passenger picked up a book at a particularly relevant Tube stop. 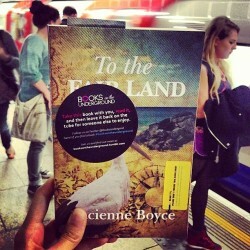 I’m longing for someone boarding at Covent Garden to pick up my friend Lucienne Boyce’s fab historical novel, To The Fair Land, which opens with a vivid scene in the Covent Garden of 1789. What a great way to escape from 2013 London for the rest of their journey. I’m sure you can think of more books you’d love to find Underground. Please feel free to add them in a comment below – I’d love to hear your ideas. 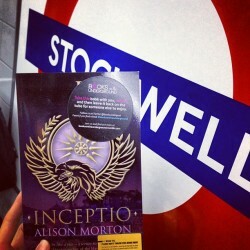 And if you’re travelling on the Underground and come across my book, please send me a photo! What a great idea! Have to say though that I’ve never seen one when I go to work in London but I’m going to keep a better look out now! Isn’t it just?! I really like the idea of sending one’s books off into the world, too – you never know where they might end up! Maybe best to put them on the Circle Line so they never reach the end of the line, ho ho! Hey Debbie, If this comment reaches you – how about my forthcoming novel, The Labyrinth Year, that sounds suitable for the London Underground! Loved the post, love the idea, and if the scheme’s still running, may offer them a copy of TLY when it launches! Usual high standard, Debbie. Don’t wish to undermine(!) your efforts but you probably know this has been operating on the New York subway for many years now. Not sure how successful. Of course, we over here actually started the first U-Tube, I guess – Farringdon Street station 1863. Now that’s my kind of U-Tube! (Have never really got into the 21st century kind.) And I didn’t know that it was on the NY subway, so thank you for bringing that to light (so to speak). How wonderful! I’ve just emailed and hope to send a copy of Flash Fraction. Great idea and thanks for sharing Debbie. What a fantastic program!! It’d be so much better to pick up a book than those trashy free newspapers they’re always handing out around London! I think so too! 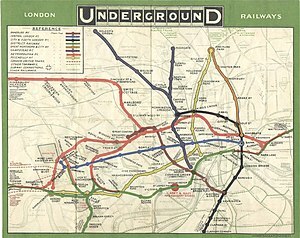 I can’t wait till my next trip on the Underground – not something I usually look forward to – and will be very disappointed if I don’t find a Books on the Underground book!